Investigators have sent letters believed written by an elusive Bay Area serial killer to labs in the hope of creating a DNA profile with new technology that will eventually lead to finding the Zodiac Killer, according to a report. Jodi Hernandez reports. Investigators have sent letters believed written by an elusive Bay Area serial killer to labs in the hope of creating a DNA profile with new technology that will eventually lead to finding the Zodiac Killer, according to a report. A Vallejo Police detective told the Sacramento Bee that a few months ago his team sent two envelopes containing letters from the Zodiac Killer —a man accused of murdering at least five people across the Bay Area in the late 1960s— to be analyzed with new technology that was previously unavailable. Someone who claimed to be the killer sent several letters to Bay Area newspapers with coded messages that announced himself as the Zodiac Killer and to taunt police. Detective Terry Poyser told The Bee that he hopes to obtain a full DNA profile of the killer from the letters and use it to find him through genealogy websites, like the investigators did in the Golden State Killer Case that led to the arrest of former police officer Joseph James DeAngelo. "If we get a good profile, then you start tracking back," Poyser told The Bee. "It really comes down to DNA. Without it, you have nothing. It's a 50 years old case." The now-famous sketch of the killer was made after he shot a cab driver in San Francisco in 1969. Witnesses described the killer as a white male with stocky build and about 5'8" to 6 foot tall with heavy-rimmed glasses. Police had several suspects over the years but they were never able to convict anyone for the killings. 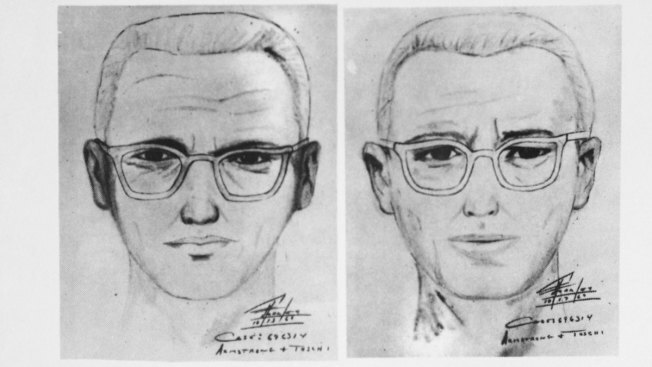 This new advanced DNA analysis has brought hope to relatives of the Zodiac Killer's victims. On July 4, 1969, 22-year-old Darlene Ferrin and a friend were shot multiple times in a parking lot in Vallejo by a man believed to be the Zodiac Killer. "It’s been almost 50 years now," said Ferrin's brother, Leo Suennen. "I want to know who he is, his name."